Being a physical therapist assistant can be a very rewarding career that not only allows you to help other people, but it also teaches you about how your own body works. 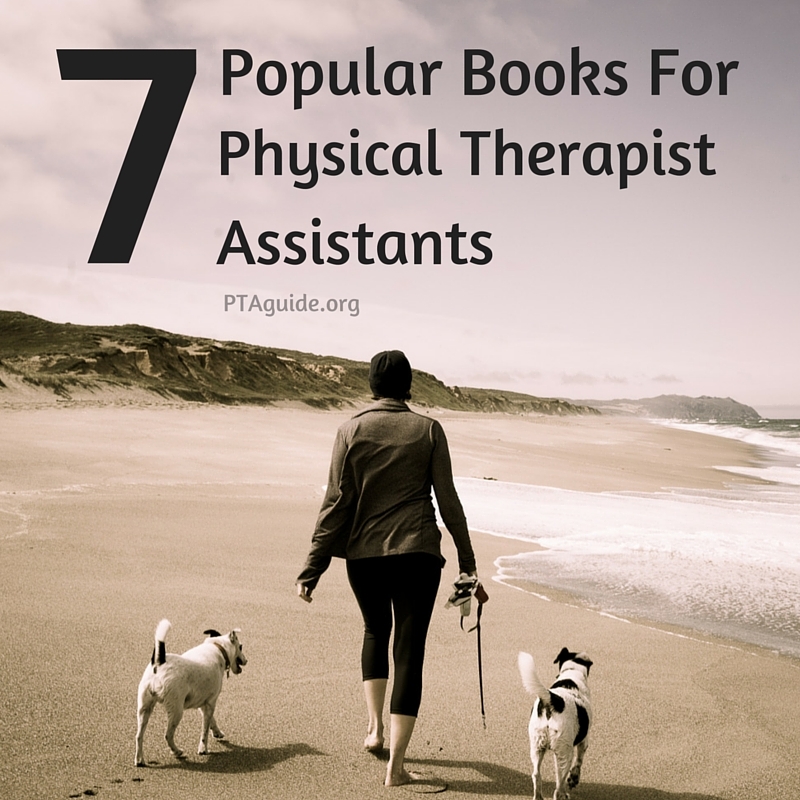 If you are planning on beginning your studies as a physical therapist assistant or if you want to expand your knowledge of this area, there are a number of different books that can help you learn more. Below, you will find the seven most popular books in this area that will enhance your learning experience. This book was written for physical therapist assistants. It introduces the student to what being a PTA means, what to expect from the career, and more. This book also teaches the reader the most important concepts and clinical guidelines. It provides the latest trends in the field and when used in a classroom setting, it can also help professors teach students about professionalism in the field, interpersonal communication, and many other vital pieces of information a PTA needs. This textbook is one of the most respected ones in the field of physical therapy assistant. It is one of the most widely used in classrooms because of the thoroughness with which in introduces subjects to the student. The exercises that are provided are described with easy to understand instructions that will make applying them to real patients much simpler. They include range of motion exercises, functional return, and plyometrics. Each chapter offers a full summary, case studies, clinical guidelines for different exercises, pediatric and geriatric options, and a glossary to help you understand the new concepts. One of the things that makes this book such a popular one in the field of physical therapy is that it introduces complex topics in a manner that all students can understand. The book provides full sized images to display each exercise and concept, and the small chapters make it a good way to not become overwhelmed with too much information offered all at once. This textbook displays how the different anatomical sections are interconnected and how to best treat each individual section to benefit the whole. If you are looking for a text that can supplement a class, then this one is one to consider. As a PTA, you will have to take thorough notes. This book will help you with all the documentation you will have to perform throughout your career and it does so in a clear, easy-to-understand manner that is perfect for the classroom setting. You will learn how to offer correct documentation for different modes of reimbursement, including third party claims, and you will learn about confidentiality and other vital parts of being a physical therapist assistant. When you need a quick review of certain techniques, concepts, and more, this guide can help. It is written in a concise manner that provides the key points you need quickly. Some of the topics covered include pharmacology, assessment techniques, pathology descriptions, treatment suggestions and more. New content on breathing techniques and mechanical spinal traction have been added to the new edition, as well as more on gait topics. This book covers a number of vital topics with thoroughness. It shows any PTA or aspiring PTA the best techniques for caring for adults with disabilities, and provides many case studies to learn from. The book is client-centered, which can ensure that you are prepared to work with and for your patients. There is a lot of information on prevention methods and it has a companion website on which you can watch important videos that can enhance your learning. If you are not sure whether becoming a PTA is the right choice for your, then this book can show you exactly what this field can be about. The book provides tips on how to succeed in this rewarding career and can show you what you can expect on a day-to-day basis. You will learn about the curriculum, time-management skills, how to prepare for competencies, and so much more. With this text, you will be ready to take your career to the next level. These seven books can be the best purchases you make if you are considering becoming a PTA or if you are already part of this field. With the right knowledge, you will be able to enjoy your work and be the most successful version of yourself possible.